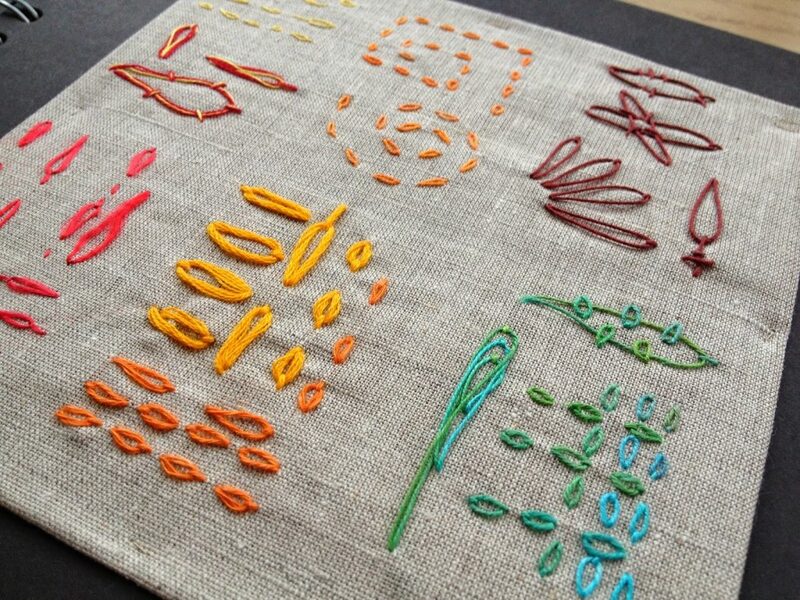 This is the latest of my latest Hand Embroidery samples – Detached Chain Stitch sewn onto Irish Linen, using threads including imitation silk, DMC stranded embroidery thread, hand dyed linen and waxed linen. 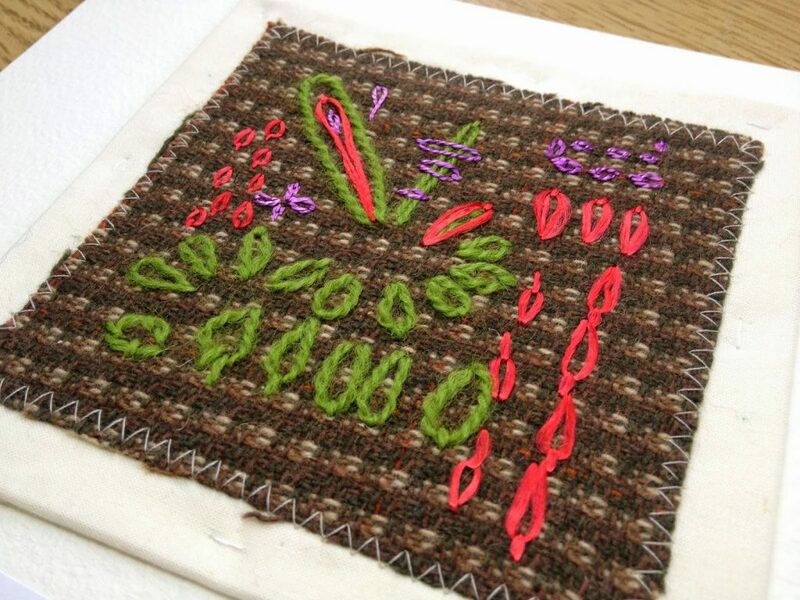 This experimental sample was stitched onto woven wool/tweed, using threads including wool, imitation silk and Tudor Twist. 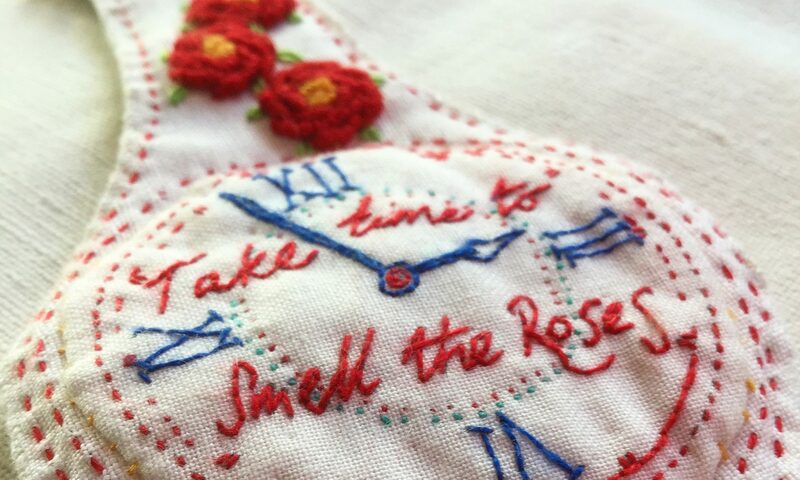 I am finding this stitching very therapeutic. Have a go yourself – no rules, just play! 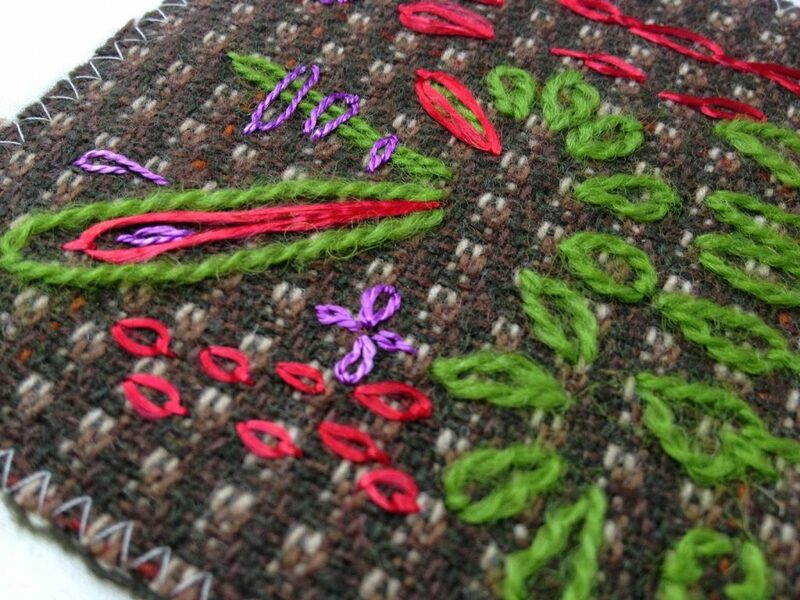 I like the idea of a journal of stitches – I may add it to my list of future projects! Next PostNext Busy, Busy, Busy at the Show!